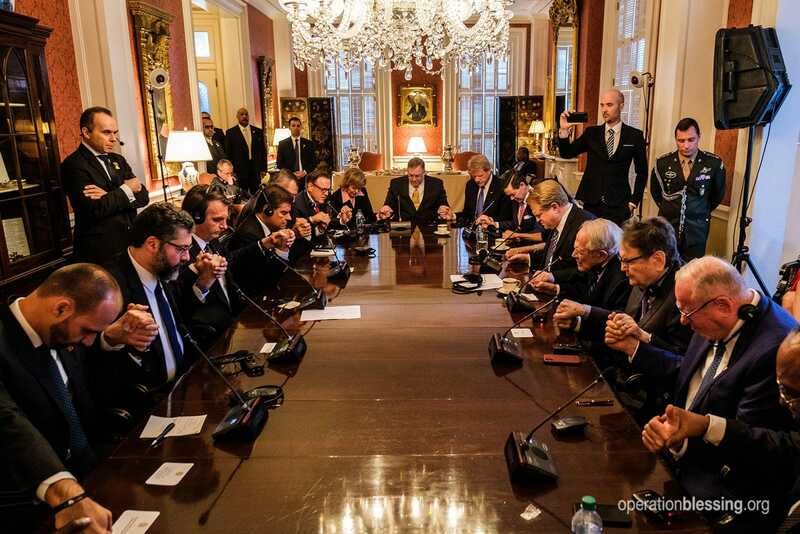 WASHINGTON D.C. (March 19, 2019) – During his trip to Washington D.C. to meet with President Trump today, newly-elected Brazilian President Jair Bolsonaro met with a group of evangelical leaders from the United States at an event hosted by the Christian Broadcasting Network (CBN). 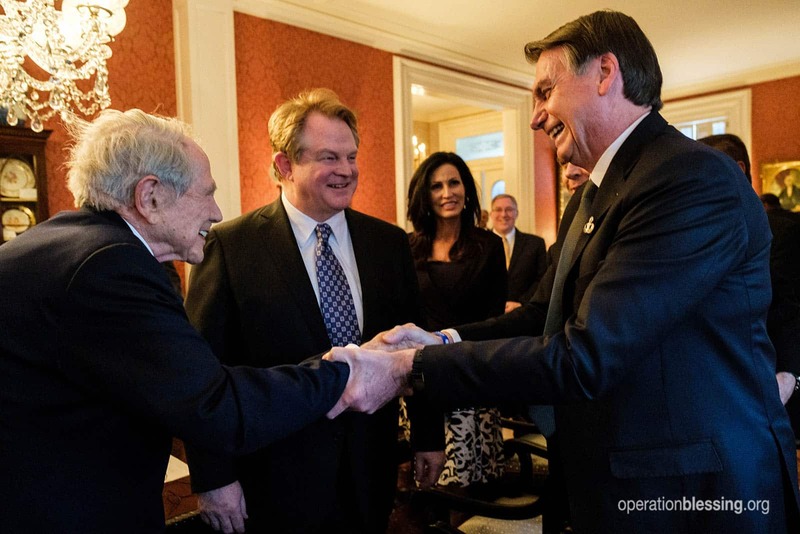 At the gathering, which took place at Blair House, President Bolsonaro met for prayer and consultation with CBN founder and Chairman, Pat Robertson, CBN CEO Gordon Robertson, and a host of others from around the country including Christ for all Nations evangelist Reinhard Bonnke, founder and Chairman of Faith and Freedom Coalition Ralph Reed, Thomas Road Baptist Church senior pastor Jonathan Falwell, president and CEO of SCLS/Martin Luther King Foundation Dr. Charles Steele, Jr., CEO and president of Concerned Women for America Penny Young Nance, Bishop Harry Jackson Sr. of Hope Christian Church, and others. The meeting culminated with a group prayer for President Bolsonaro, led by Pat Robertson and Reinhard Bonnke. 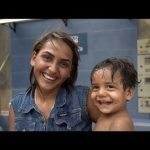 Prior to the meeting, President Bolsonaro sat down with CBN News senior international correspondent George Thomas for an interview to talk about his historic election, his faith, and the comparisons that have been made between him and President Trump.